Fans of the late Hunter S. Thompson rejoice! After over two years of distribution hell, a release date for Johnny Depp's film adaptation has been announced. 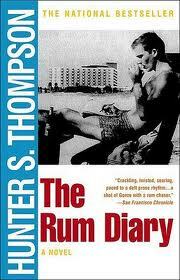 The Rum Diary will hit US theaters on Oct. 28, 2011.